When you are living away from your home country sometimes you crave a little reminder of the things you miss. Something most expats turn to when they are feeling this way are their favourite foods from home. Whether it be snacks, favourite meals or festive feasts, eating your favourite foods from home can bring memories flooding back. I asked some fellow expat and travel bloggers what foods remind them of home. Roti and sambal has always been one of my comfort foods, which I enjoy making, when I miss home. A popular Sri Lankan breakfast, we make it for dinner at home. One of my mother’s favourite food memories, from her childhood, is that of her mother making rotis and serving it with hot plain tea on rainy days. This partiality for rotis was passed on to the next generation. As a child, I used to be a picky eater but never fussed when my mother made rotis for dinner. Even the tiniest member of our family, my 2 year old niece who apparently had her first taste of roti this month, loves it. The Indian cuisine has a range and variety of flat breads but this coconut roti is uniquely Sri Lankan. The smell of toasted coconut in the air, the taste of crispy and crunchy flat bread merging with the soft and spicy coconut chili sambal on my tongue never fails to evoke a taste of home for me. If you would like to try making some roti at your home, check out my mother’s recipe on my food blog – A Taste of Sri Lankan Cuisine. Originally from Plymouth in the UK, Chantelle is now living the dream in the beautiful Seychelles with her husband and two little boys. Being an expat obviously you miss friends and family, but perhaps surprisingly right up there with that is how much we miss food from home!! Living in the middle of the Indian Ocean means there’s lots of fresh fish, but there’s a distinct lack of fresh dairy. I’m not a milk lover but I can’t tell you how much I miss good cheese and sour cream! The other thing, is that there are no chain restaurants. There are days when you just need a Starbucks, or a naughty McDonald’s! The biggest way to remind us of home has to be when we cook our full British turkey dinner on Christmas Day. It’s nice to have a taste of home on a day that’s all about family and of course food. One half of dynamic duo ShaTara Travel, Tara travels the world with her partner Shabir. They have lived in China and Canada and are currently exploring the mysteries of India. We are an Aussie couple from Perth, and like most Australians we can’t live without a bit of Vegemite for more than a month or two. For those who don’t know what Vegemite is, it is a salty brown spread that goes mighty well with cheese, but is just as good on toast with some butter. The uninitiated may compare it to Marmite or Promite, but I say that’s sacrilege! Vegemite is much better, and the only brown spread worthy of an international treasure hunt. We searched high and low in India to find some. Only once we met another Australian couple were we reunited with the thick, brown, yeasty spread that only a true Australian can appreciate. They were kind enough to share their priceless bounty with us so that we could get by for another few weeks. Luckily, a month later we found a well stocked supermarket in Koh Tao and were able to take our very own jar of Vegemite on a celebratory picnic at our favourite beach, Sai Nuan (pictured). If you ever ask a travelling Australian what they got in their care package from home, I can almost guarantee you there will be some Vegemite in there. Vegemite on toast, or a plain old vegemite sandwich are what Australian childhoods are made of! Try it out sometime, but beware, it can be an acquired taste! Originally from a small town in Canada, Becky recently moved to Moscow after living and teaching in Japan for over five years and has traveled far and wide across the globe. My situation is a little different. Being raised primarily by my Japanese side of the family, I grew up on Japanese food as well as common Western things, like cheese, cereal, deli meat, pizza, cheeseburgers, and my favourite food – pasta! Living in Japan wasn’t a problem except for certain western things and brand names that I couldn’t have. I have found that if I can’t have something that I miss, the craving goes away relatively quickly because there’s no way that I can have it. However, if I’m in Canada and I get a craving for Schneider’s bologna or weiners, Ruffles Sour Cream’n’Onion chips, cheddar cheese (especially Kraft), or Canada’s signature dish, poutine , I’m in major trouble because I know that I CAN have them. Some of the dishes my grandmother makes for New Year’s. Missing things include the turkey, stuffing, mashed potatoes, plain Japanese rice, gravy, and of course, the big pile of chopsticks. I’ve been in Russia for nearly a month now, and I have yet to see Japanese rice or noodles in grocery stores. As expected, I haven’t seen any of my aforementioned favourite Western brands or a lot of dishes, but I’m ecstatic to have found Activia yogurt! Anyway, it looks like I won’t be able to be able to make any Japanese dishes or enjoy my favourite dishes from home, so I’ll have no choice but to do without until I make it back for a visit. At least I can still have pizza, cheeseburgers, pasta, and cheese! Focusing on what I CAN have makes it easier until you make it home and pig out. Ruth moved to Mexico from the UK over a decade ago. She now lives in the city of Querétaro with her husband, daughter and Mexican family. I’ve been in Mexico for so long now – over 12 years – that I’ve got used to doing without certain foods from the UK that just don’t exist here. Of course, there are some things I can’t live without, which is why I always have a packet of Tetley tea bags in the cupboard (thank you kind family!) and a jar of marmite, too, though I use it more for cooking than spreading on toast. Occasionally, I long for a hot buttered crumpet but I’ve never been able to find them here. Admittedly, I’ve had a recipe for crumpets for years and still haven’t attempted to make any! At Easter, I yearn for chocolate and dream unrequitedly of creme eggs, but Christmas is when I miss home the most and with it mince pies, my mum’s Christmas cake and Christmas dinner with roasted parsnips and Brussels sprouts. I strongly suspect, though, that if I moved back to the UK I would miss Mexican food much more than I currently miss British food. Above all, more than the food itself, it’s the people to share it with that I really miss. When will I next enjoy Sunday lunch with my parents, a picnic in the park with friends or Christmas dinner all together? Our family moved to London from Melbourne, Australia almost two years ago. This is my second stint living in the UK but it is my husband and twin toddlers’ first expat experience. Throughout my adult life in my home town Melbourne, I have always lived in or very near to the suburb of Richmond. Home to a large population of Vietnamese immigrants, this area of Melbourne is famous for its restaurants featuring food from all over Vietnam. If you are familiar with Vietnamese cuisine you will know that pho (pronounced – fuh) is a favourite dish. Pho is a wonderfully fragrant soup made with chicken, beef or seafood, rice noodles, herbs and vegetables. The key to a good pho is in its aromatic stock made with beef or chicken bones, star anise and fish sauce. It is a wonderfully satisfying and comforting meal in a bowl. There were times when I was living in Melbourne that I would have pho several times a week. Not only is it delicious but it is also healthy and cheap at around $A 10 for a huge bowl. Pho reminds me of laughs and chats with my good friends and partner. We always had pho after long days at work or big party nights out. And it reminds me of our home where we brought our twins after they were born. We ate a lot of pho in those days because cooking and twin babies are kind of mutually exclusive. Our neighbourhood in London is not home to an abundance of Vietnamese restaurants and anyway, I think most Asian food has been overly westernised here. So as soon as I arrive home for a visit I head to my favourite restaurant for a steaming bowl of pho. I hope you have enjoyed reading about the food fixations of my fellow expat and travelling bloggers. What really stands out for me is the link between sharing food with family and friends and the memories that triggers. Are there any special foods that ‘taste like home’ for you? How good does Ahila’s roti look! Delicious ! So interesting to read this, Katy. Food’s always one of the things I miss if I’m away from home for long – I always pack teabags in my suitcase as tea doesn’t taste like the tea I know anywhere other than in the UK. When I lived in Paris I used to nip to M&S every month to buy hot cross buns and smear them with taramasalata (completely weird, I know, and totally unFrench, but it was real comfort food at the time. I can honestly say I have never thought of the hot cross bun and taramasalata food combo! Do you think the water abroad makes a difference to the flavour of the tea? I’ve never worked out what it is about the tea. I usually just give up trying to have a British cup of tea when I’m abroad and have it their way instead – weak and black.. As for the hot cross buns and tarama combo, think it started with late night taramasalata on toast addictions at university. Much to my husband’s disgust, my two boys are now obsessed with it too and positively insist on putting taramasalata on their hot cross buns. I love it. I guess the sweetness of the raisins balances the saltiness of the taramasalata. Now where to find a good version here so I can try myself. I have some hot cross buns in the freezer! Let me know what you think, Katy. Ridiculous or sublime? I say both. Just read your comment, Clare, about tea and was smiling as I have developed the habit over the past few years of carrying a pack of Sri Lankan tea whenever I travel. One of my friends in Australia will only drink Dilmah tea and takes it all over the world with her ? The bowl of pho looks great, Katy. Thank you for including me in this fun post. Food does have the wonderful ability to evoke memories and as you put it, a taste of home. I thought I’d already left a comment here, but I must have forgotten to… Now after reading the other comments I miss hot cross buns, too! Not sure about the taramasalata, though. I guess vegemite is the same thing as marmite, isn’t it? Or is there a difference? Thanks for inviting me to participate! oooh no Ruth, Vegemite and Marmite are different. Vegemite is a yeast extract while Marmite is beef extract. Australians can get very emotional about Vegemite! Hope all is well with you in Mexico and you are enjoying a nice cuppa. A really interesting post to read, great idea! It’s funny how food can taste different in different countries, for example it’s very hard to find bread that tastes the same in USA as it does in the UK! This has reminded me how much I miss crumpets! It’s true, the pork products in Britain are fantastic. I cannot resist bacon! I also crave stuff I would not really eat at home – certain crisp flavours and biscuits. The expat life is a funny one! What a great collection of expats with their various food longings. I smiled at Chantelle’s roast dinner craving and also at Tara’s Vegemite one. That I can understand. What is it about the English and tea! 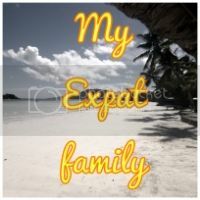 Back again from #MyExpatFamily … I found myself craving a sausage sandwich the other day, with proper sausages – Mexican sausages are horrible highly processed pink things that you don’t even have to cook! By the way, you’re wrong about marmite, it is a yeast extract, no beef in it! Being half Aussie and half Brit I can say that Vegemite and Marmite are different but to someone not brought up on either they are pretty similar. I go through stages of preferring one to the other, usually based on where I’m living and which one I can get hold of more easily. Both are yeast extract, completely vegetarian and salty though I think Vegemite has a tiny bit of sugar in it too. Bovril is the revolting one with beef! Great post! As an expat myself (American + have been living in Paris for 15 years) I totally get that the missing food from home struggle is real, my friends! Tara made me laugh – it’s so true that Australians always search for vegemite – wherever they are in the World! All of the Australian friends I have made in Paris and on our travels, usually carry it with them, are in search of it or are chatting about it! Once an Australian friend even shared hers with me, and so I got to taste it! It is a unique flavor but very tasty!